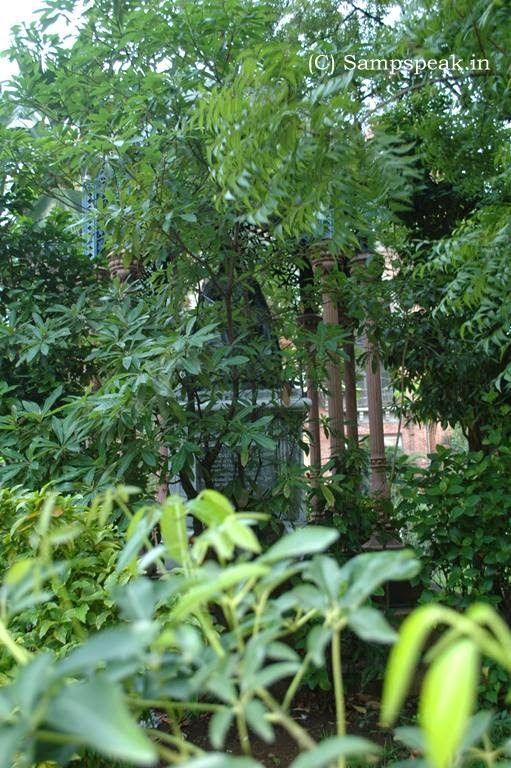 This could easily be a ‘spot the bird or object’ contest….. but something more relevant – another statue sitting under a canopy (forlorn and uncared for !) ………… a colonial vestige of a different kind. 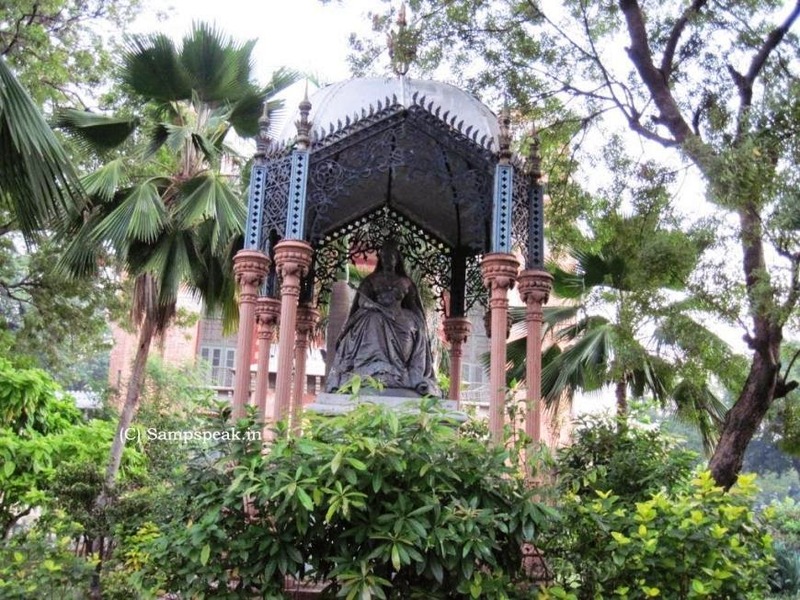 For those who are inquisitive, it is located at the Southern side of the Madras University – on the Wallajah Road. 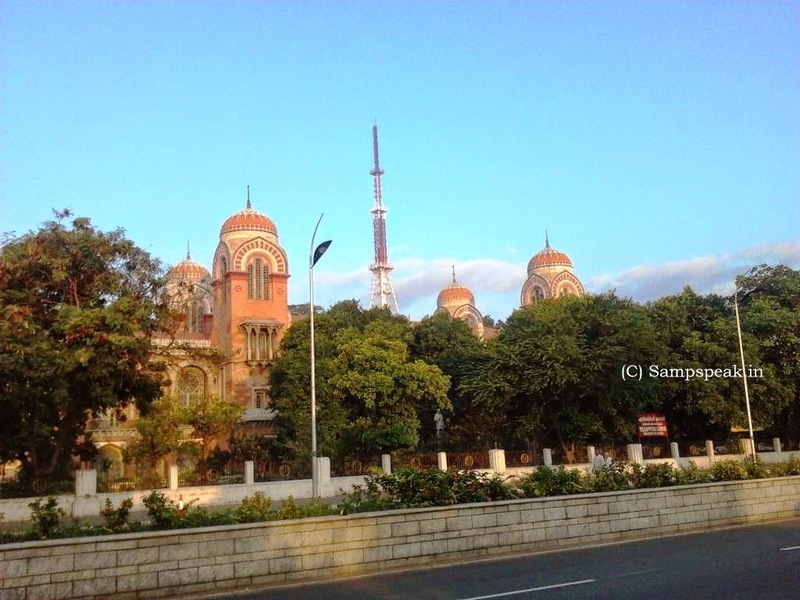 The University of Madras (சென்னைப் பல்கலைக்கழகம்) established in 1857, it is one of the oldest and premier universities in India. Inside the premises is the beautiful ‘Senate house’, the administrative centre, a classic example of Indo-Saracenic architecture. It is that of Queen Victoria (Queen Empress of India) [1819-1901], the monarch of the United Kingdom of Great Britain and Ireland from June 1837 until her death. From 1 May 1876, she used the additional title of Empress of India. Victoria was the daughter of Prince Edward, Duke of Kent and Strathearn, the fourth son of King George III. She inherited the throne at the age of 18, after her father's three elder brothers had all died, leaving no legitimate, surviving children. The United Kingdom was already an established constitutional monarchy, in which the sovereign held relatively little direct political power. Privately, Victoria attempted to influence government policy and ministerial appointments. Publicly, she became a national icon, and was identified with strict standards of personal morality. Victoria married her first cousin, Prince Albert of Saxe-Coburg and Gotha, in 1840. Their nine children married into royal and noble families across the continent, tying them together and earning her the nickname "the grandmother of Europe". After Albert's death in 1861, Victoria plunged into deep mourning and avoided public appearances. Her reign of 63 years and seven months, which is longer than that of any other British monarch and the longest of any female monarch in history, is known as the Victorian era. After the Indian Rebellion of 1857, the British East India Company, which had ruled much of India, was dissolved, and Britain's possessions and protectorates on the Indian subcontinent were formally incorporated into the British Empire. The Royal Titles Act 1876 conferred on Victoria the title "Empress of India" from May 1876. The new title was proclaimed at the Delhi Durbar of 1 January 1877. The monarch could not pressurise Disraeli to act against Russia during the Russo-Turkish War. 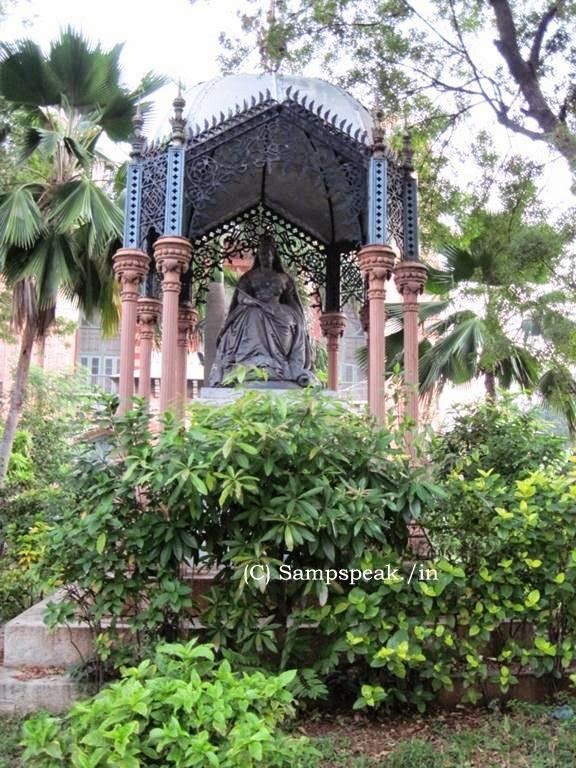 The statue in Chennai inside the Madras University was unveiled on 20th June 1887, the day which marked the Golden jubilee of Queen Victoria accession. It was unveiled by the then Governor of Madras, Robert Bourke, 1st Baron Connemara, who served as Under-Secretary of State for Foreign Affairs earlier. In 1890 he laid the foundations stone of the Connemara Public Library in Madras. Lord Connemara was twice married. He married firstly Lady Susan Georgiana, daughter of The 1st Marquess of Dalhousie, a former Governor-General of India, in 1863. They divorced in 1890 and later he married Gertrude, former wife of Edward Coleman. The plaque in the statue reads : ‘statue erected in token of his loyalty, respect and admiration of many virtues faithful subject – Goday Naraen Gujputee Rao of Vizagapatam’……… Sir Goday Narayana Gajapathi Rao KCIE (1828 - 1903) was an Indian aristocrat and politician who served as a member of the Madras Legislative Council from 1868 to 1884. He belonged to one of the ancient and highly respected families in Southern India, Goday family. He was born in the family of the zamindars of Anakapalle and was associated with many educational institutions too.